Welcome to the A-dec 300 chair package. 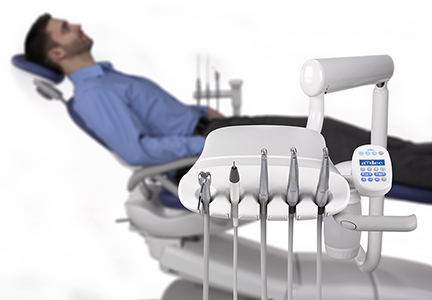 Designed as a modular solution, A-dec 300 is a whole system that lets you pick and choose the features you want, within the price point you need. Start with the chair: optional armrests and sleek seamless or plush sewn upholstery. Choose Radius-style left/right or pedestal equipment mounting. A Traditional or Continental delivery system to suit your working style. 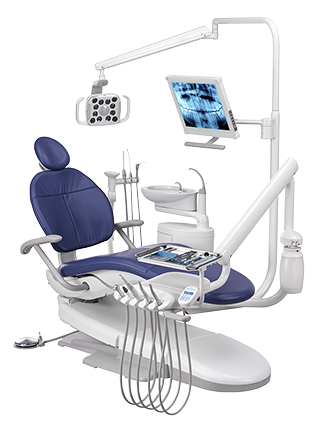 With an assistants arm, a wide range of ancillary possibilities, and options for touchpads, you can truly create a smart system that fits your practice and your budget. A-dec 300 – Enhanced! 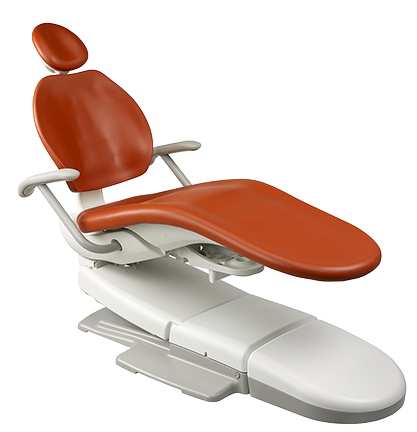 A-dec have redesigned the A-dec 300 chair to give greater patient comfort and access for the dentist. Available in sewn or seamless upholstery. 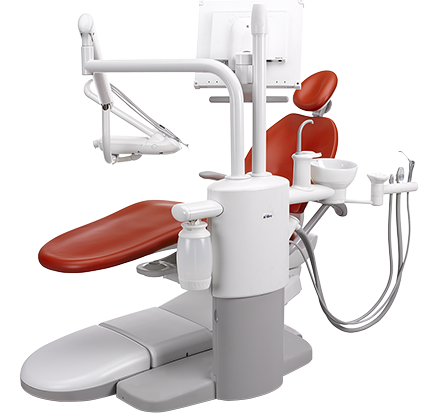 The A-dec 300 is available with the latest LED light. Available as either chair mounted, wall or ceiling mounted. 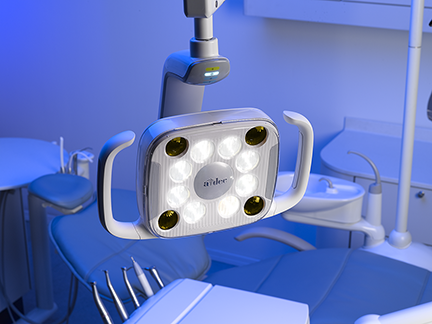 Unparalleled ergonomics: Designed for comfort, the A-dec LED light easily glides into the exact position needed for optimal illumination during any procedure. 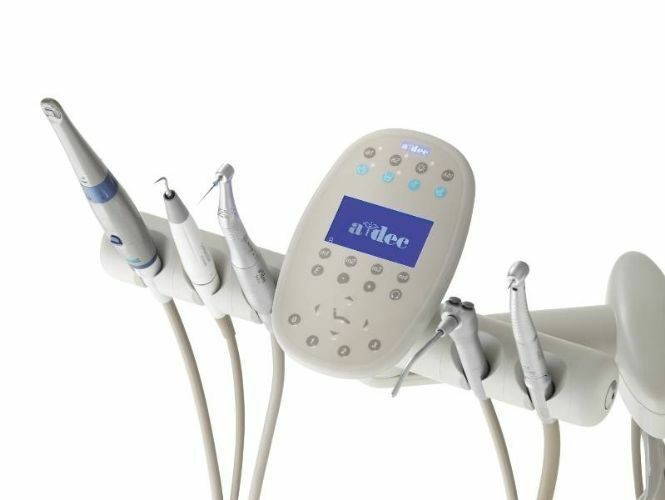 The A-dec 300 has a great range of options available, such as built in devices like micromotors, scalers cameras. Click here to see a range of A-dec upholstery colours To discuss the complete range of options and configurations available for this chair please contact us on the details above or email us.